Mr. Somdet Susomboon (second from left), Deputy Director General, Department of International Trade Promotion (DITP), Ministry of Commerce Thailand, M.L. 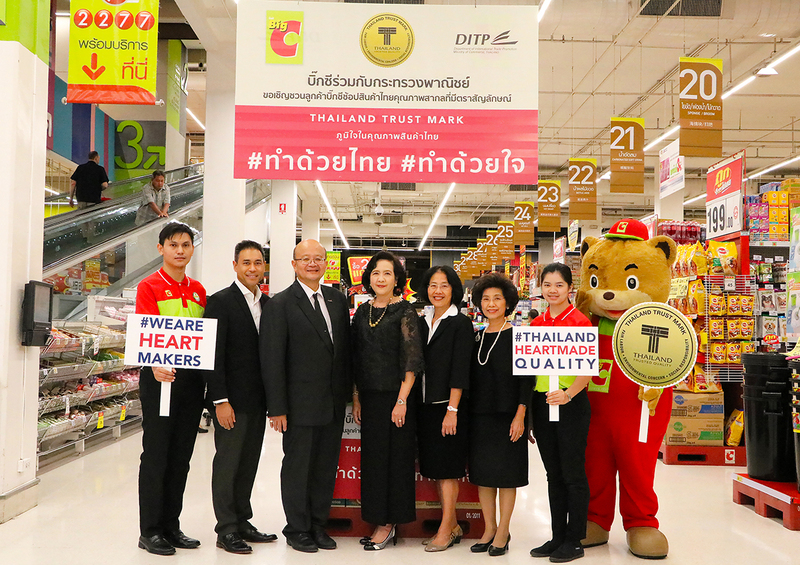 Kathathong Thongyai (first from left), Director, Office of Innovation and Value Creation, Departmentof International Trade Promotion (DITP), Ministry of Commerce Thailand together with Mrs. Vipada Duangratana (third from right), Deputy Chief Executive Officer and executives management of Big C Supercenter PCL launched “Shop For Quality Thai Products with T Mark and Big C” campaign. at over 600 Big C branches from August 20 to September 20, 2017. 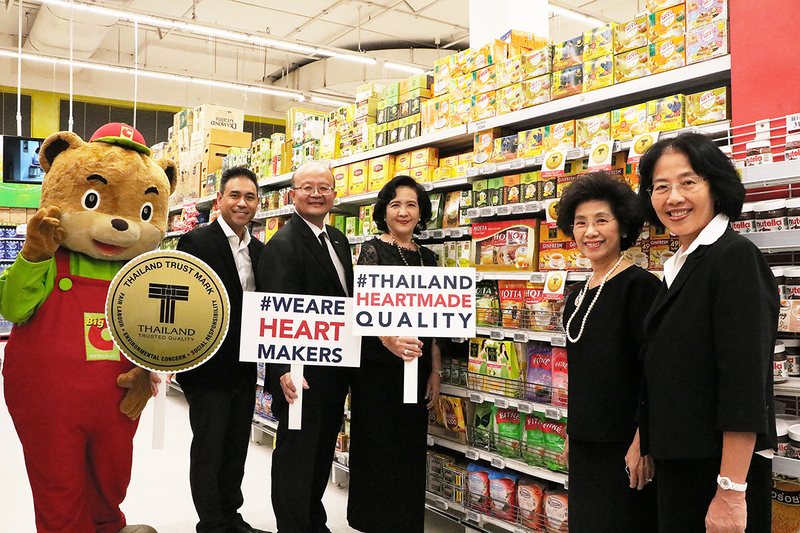 “The ‘Shop for Quality Thai Products with T Mark and Big C’ is aimed to build awareness of T Mark among Thai and international consumers and to encourage them to seek high-quality products. Not only does T Mark guarantees international standards, it also promotes Thai products and services with trusted quality in every dimension from the highest standard of production, fair labor, giving consideration to environmental concerns and social responsibility with the most important factor as the ‘Heartmade Quality’,” says Mr. Somdet Susomboon, Deputy Director General of the Department of International Trade Promotion (DITP). 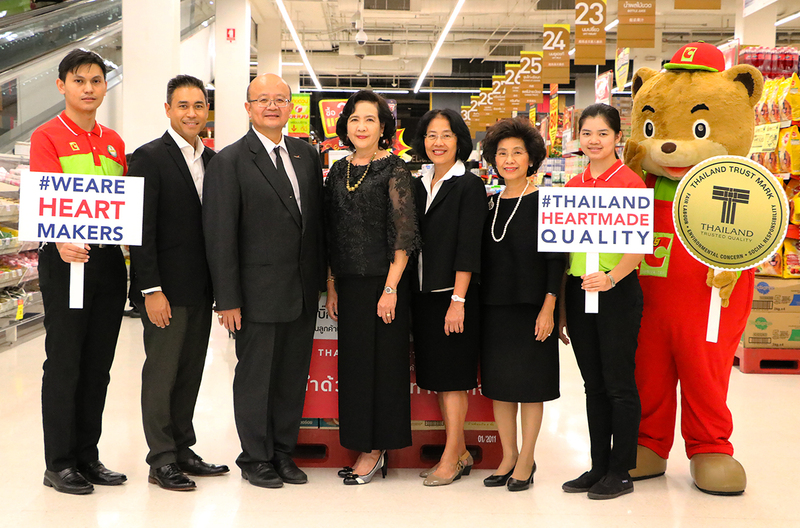 “Big C is moving forward with the company’s policy of ‘The Customer is the Heart of Thai Superstore’ in this campaign by supporting the space for promotional material in Big C Supercenter and Mini Big C branches nationwide. 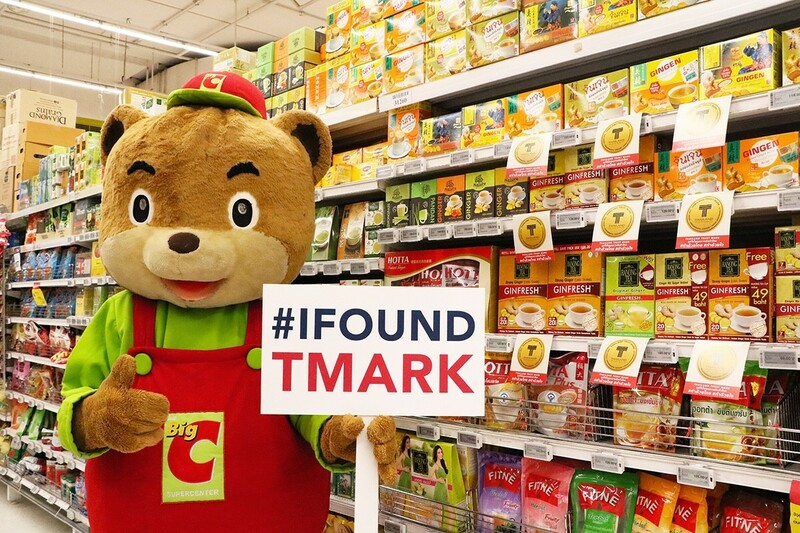 The aim is to raise awareness about T Mark for customers so they can seek out T Mark products,” says Mr. Asawin Techacharoenwikun, Chief Executive Officer and Director of Big C Supercenter PCL of BJC group. The “Shop for Quality Thai Products with T Mark and Big C” campaign is held from August 20 to September 20, 2017 where Big C customers will be able to select from over 2,500 T Mark products at Big C superstores and Mini Big C nationwide. 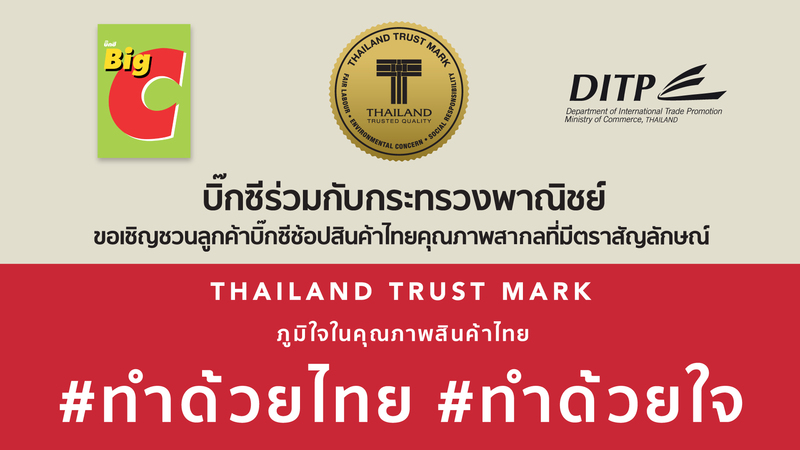 Currently, 738 Thai companies have received T Mark, divided into 2 main categories: products ranging from the food and agricultural products, industrial products, lifestyle products, fashion products and other products; and services from health and beauty services, international education services and medical services. Big C, visit www.BigC.co.th or call 1756.